Did you know you might be missing out on a key opportunity to reach a warm audience on Facebook? 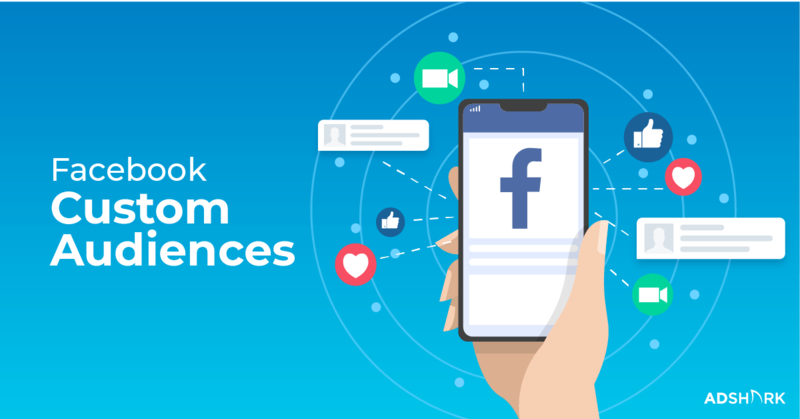 In our guide to Facebook Ads Custom Audiences we discuss how this “low-hanging” fruit for advertisers is an often missed opportunity because they are not easily understood. But no need to worry, we’ve got you covered. 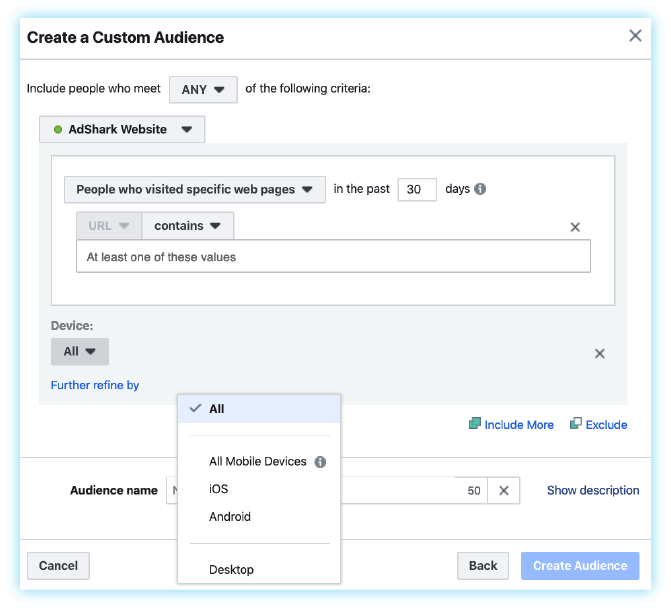 Keep reading to learn how you can use and set up the most common types of Facebook Ads custom audiences…. 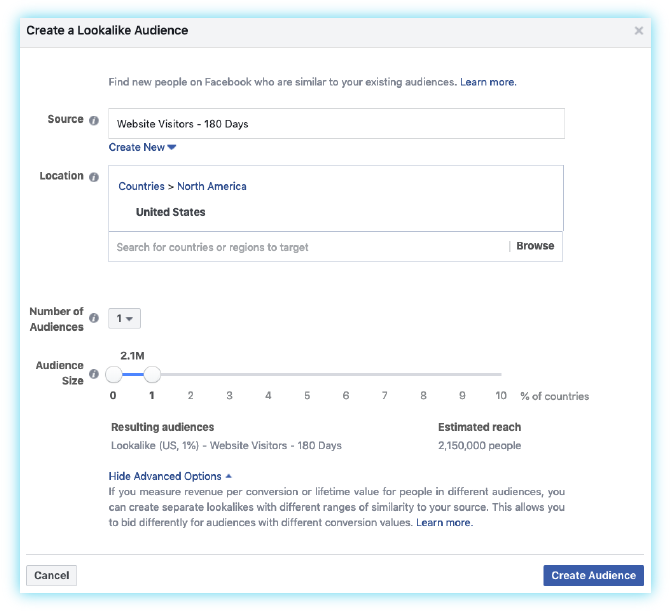 And better yet, get tips for getting more out of these audiences for your Facebook Ad campaigns. 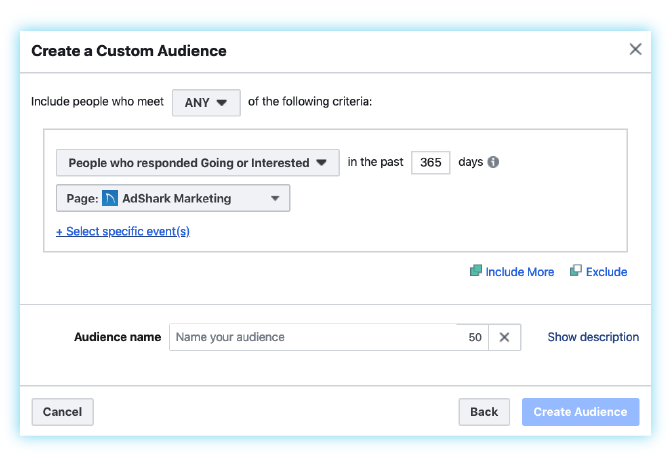 What Are Facebook Ads Custom Audiences? 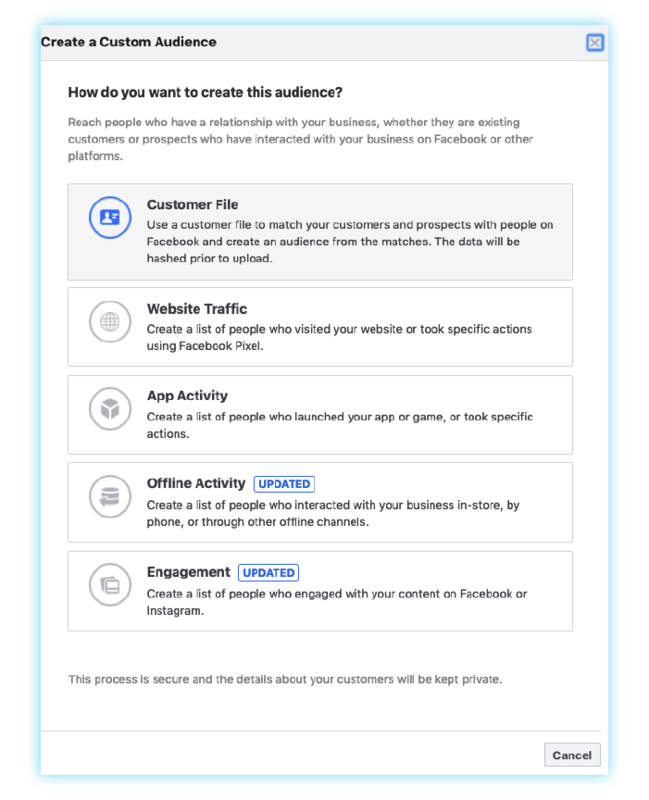 A Facebook Ads Custom Audience can include existing customers, users engaging with your brand on social media, website visitors or even offline customers. You can retarget those warm audiences with your ad campaigns. If you want to drive sales, generate leads or increase website traffic, keep reading for insider information on how Custom Audiences can help. Targeting current customers is a great way to increase conversions for your ads. As an example, you can use your customer list to promote a new product launch or promotion you are running on your site. 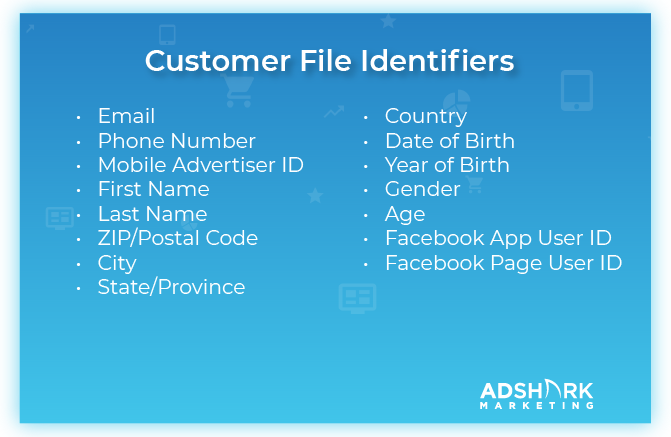 Start by uploading a current customer list that includes up to 15 identifiers. 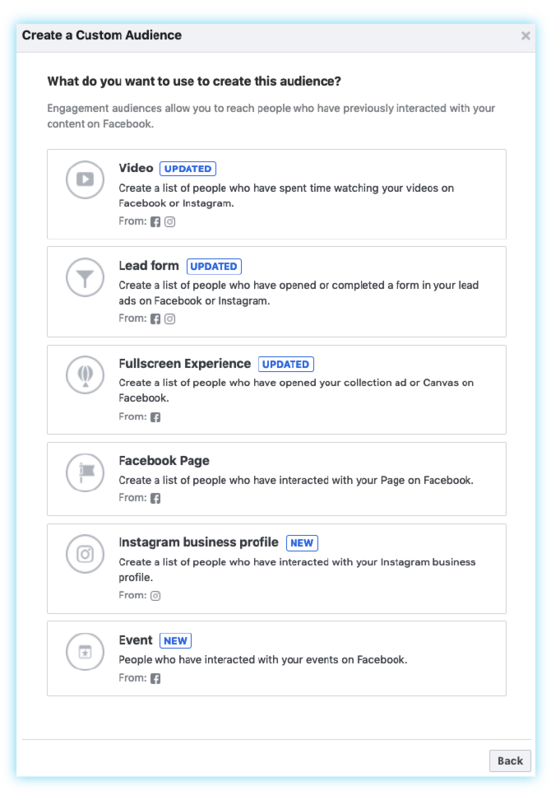 Facebook will match your list to its users. Once matched, you have a list that includes a warm audience who already purchased your products in the past. Pro Tip: This list needs to be manually updated on a regular basis. Depending on your list size, we recommend once per month or as frequently as possible. In Ads Manager > ALL TOOLS under Assets click Audiences. 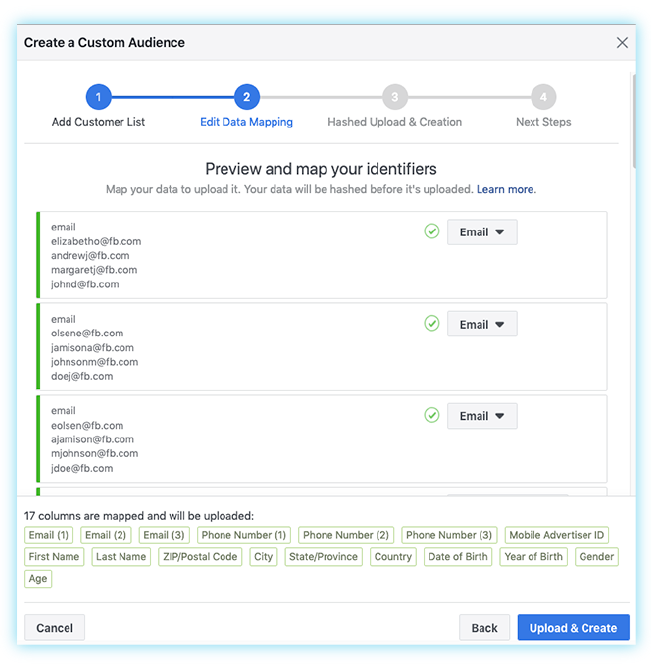 Select Create Custom Audience and click Customer File. You can upload either a CSV or TXT document. Facebook gives you the option to download a file template to ensure you have your file set up correctly. Pro tip: Make sure to name your list with a unique identifier so you can easily find it when needed. 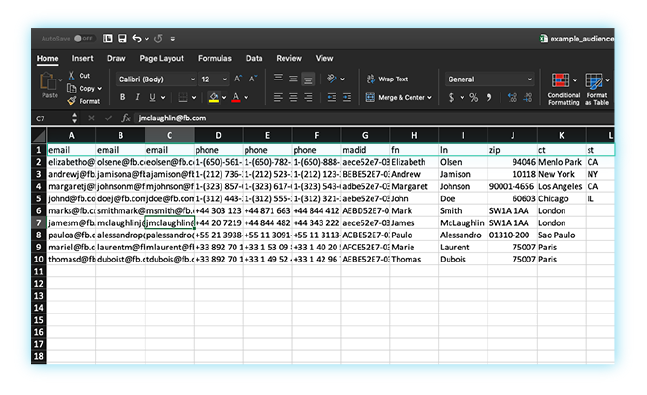 Drag and drop your file, select where the data originated, name it and hit next. You can also copy and paste your customer information in this step instead of uploading a file. Next, map the right fields to the right identifiers and select Upload & Create. 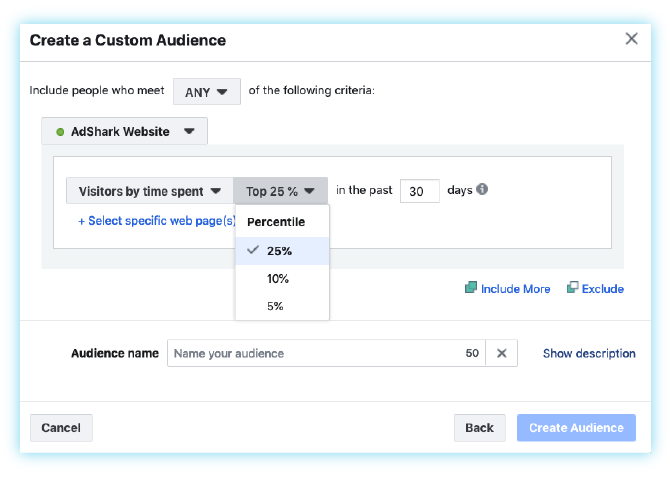 You can now create ads targeting this audience. Currently, Facebook only connects to MailChimp directly. There are third-party tools available that integrate other email or CRM programs. Pro tip: If you use the customer file feature, importing automatically or using a third-party tool is the best way to keep your list as current as possible. 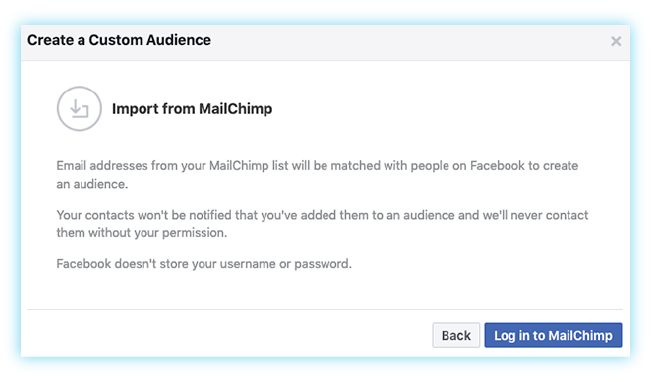 Select Create Custom Audiences > Customer File > Import from MailChimp. Log in to MailChimp to connect your account. A pop up appears prompting you to select an email list. Select the email list and click Create Audience. It can take up to 30 minutes for your Custom Audience to be created. 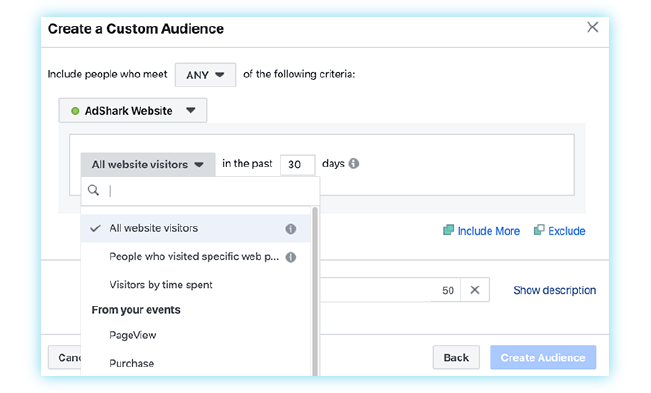 With website custom audiences, you can create a list based on behaviors performed on your website. 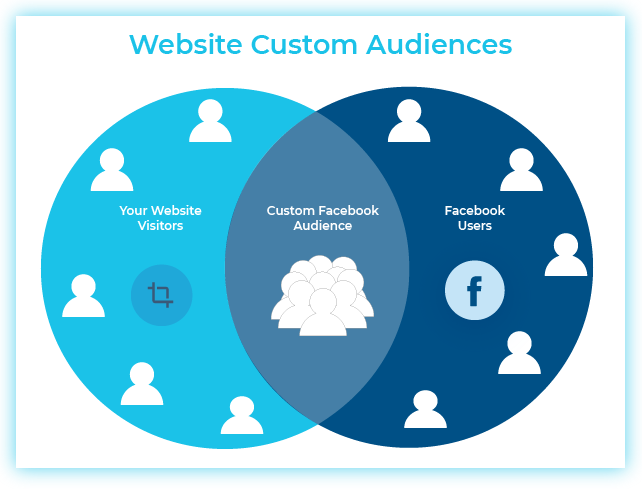 Unlike your customer file audience, website traffic audience is designed to work with the Facebook Pixel to connect your website visitors to those active on Facebook and Instagram. 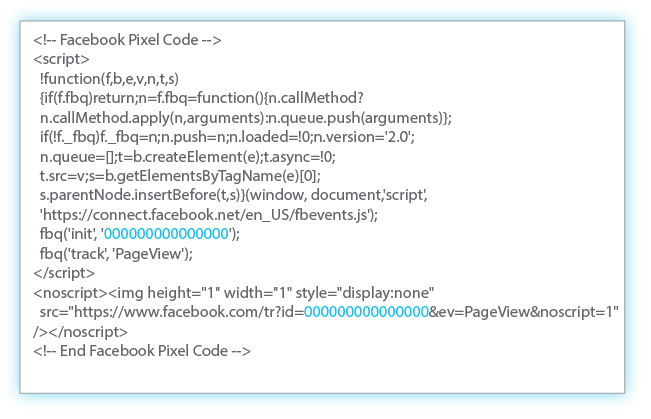 The Facebook Pixel is code that you add to the backend of your website and is used to track user behaviors. It allows you to target website visitors on Facebook. Pro Tip: The number of days you choose depends on how much traffic your site gets. 30 days is a good starting point if you’re unsure of your audience size or how far back to go. Your Pixel Code will include a unique ID. Targeting all website traffic allows you to potentially reach a bigger audience. Facebook gives you the option to select how many days to track visitors. Which means your website custom audience includes users who match the criteria during the past 1-180 days. 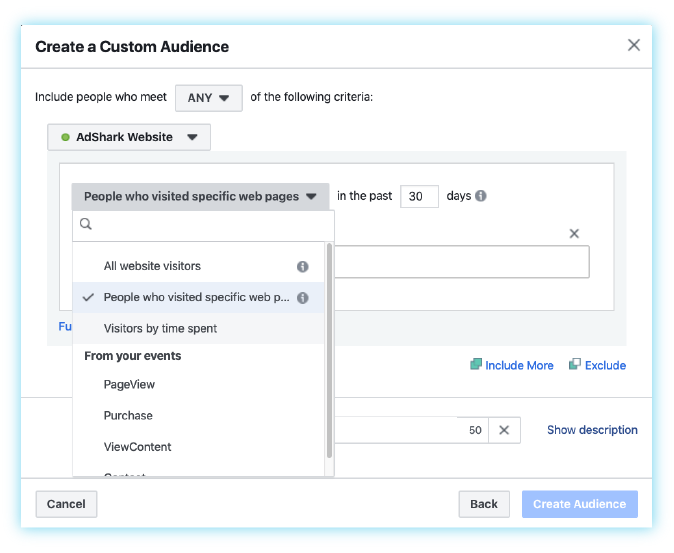 Click, Create a Custom Audience > Website Traffic. Next, make sure the correct pixel is selected. Select All website visitors and choose the number of days to track visitors. Maximum value is 180. 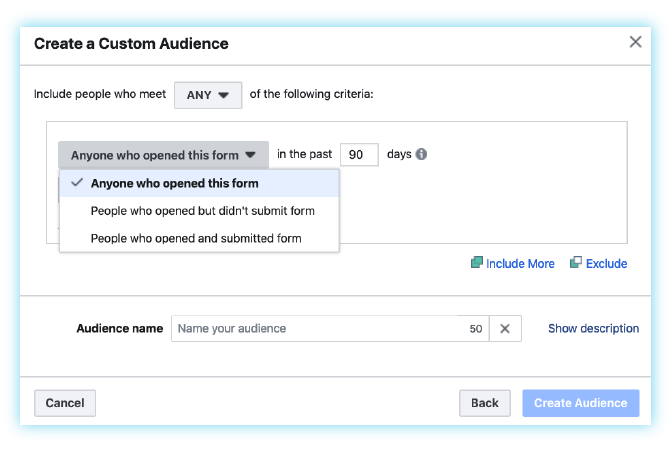 Give your list a name and click, Create Audience. Depending on what you offer online, some of your visitors may be more valuable to you. 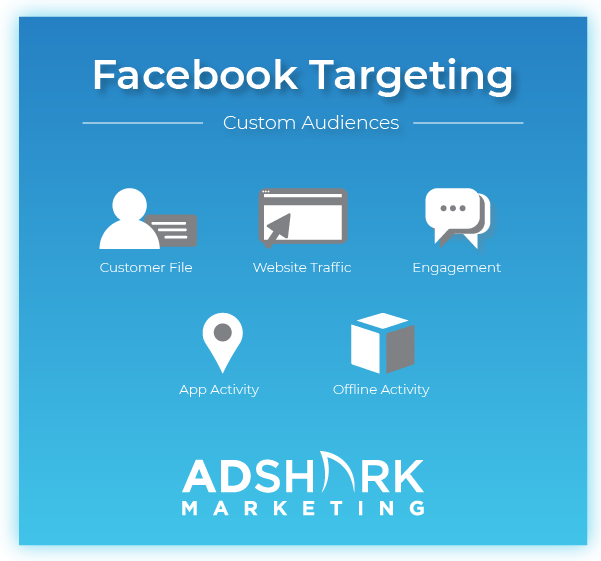 Facebook gives you the option to create highly targeted custom audiences. One way to do this is by targeting visitors of a specific page. It could be your blog readers or people who visit your Contact page. Go to Create a Custom Audience > Website Traffic. Choose People who visited web pages. Here you can add what page or pages you want to include. Note: ANY means any person who meets one requirement. ALL means any person who meets every requirement you select. Here’s where it gets fun. You can also drill down by a device, time on site and frequency. Remember, your audience size is really important. If you have less than 1,000 names in your list you will want to expand it. Go to Create Custom Audience > Website Traffic. Select People who visited specific web pages from the drop-down menu. Add your web page parameters. Then click, Futher refine by. Here you can select between all mobile devices, Android, iOS or desktop. The more someone visits your website, the more they are likely to convert. Or maybe it’s been a while since someone has visited. Bring them back with targeted ads. 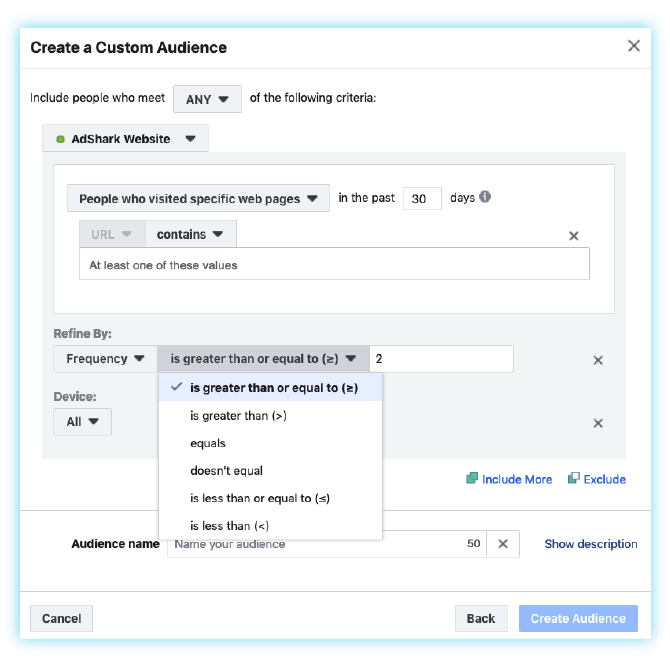 With the Facebook Pixel, you can target specific web page visitors by frequency. Go to Further refine by drop-down menu and click Frequency. You can set parameters based on number of times someone has visited the page. You can target the visitors who spend the most time on your site. Choose between top 5%, 10% or 25%. Go to the drop down under Website Traffic. Select Visitors by time spent. Choose your parameter, again remembering how much traffic your website gets during the timeframe you are collecting your audience. Whether it’s commenting on your post or watching your video, your company has users engaging with you every day. This is an opportunity to create a custom audience filled with people who are already aware of your brand. 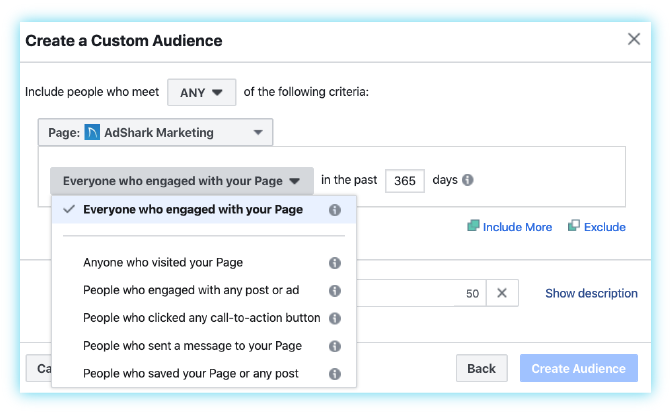 Facebook offers 6 different custom audiences based on engagement. 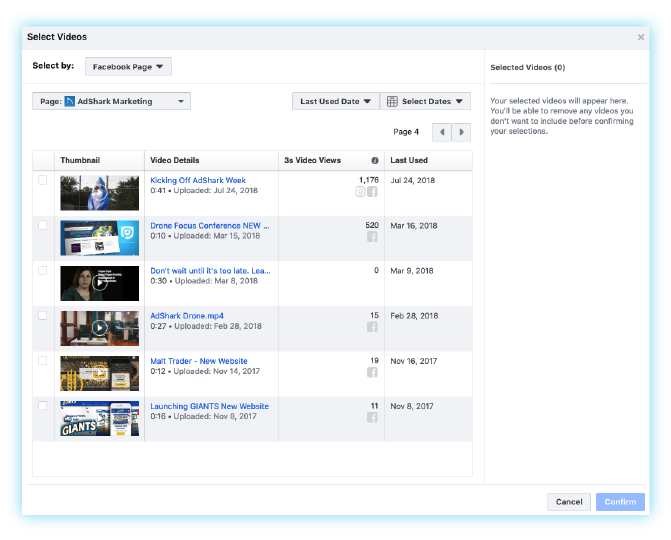 Do you have a video on Facebook that has a high number of views, but hasn’t lead to sales or leads? You can create a list of people who viewed your videos on Facebook and Instagram. From the main Custom Audience menu, click Engagement > Video. Next, select engagement parameters from the drop-down menu and select your video and click, Confirm. You can add multiple videos or just use one video. 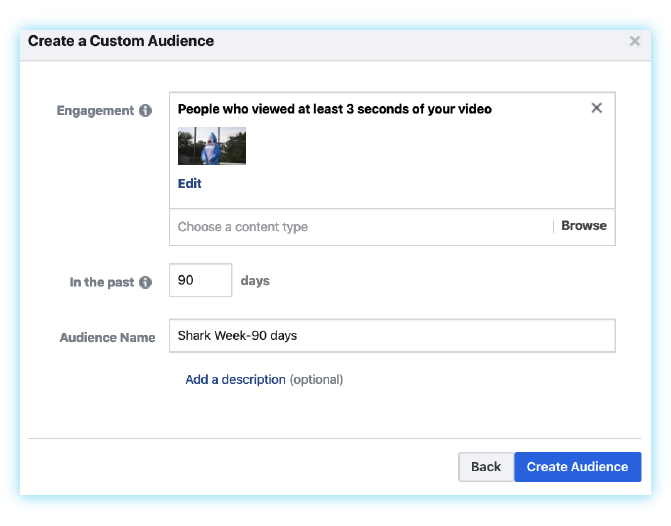 Then select the number of days you want people to remain in your audience after they viewed the video. The maximum is 365 days. Name your audience and click, Create Audience. For Facebook Engagement, go to Engagement > Facebook Page. Select an option from the drop-down menu and choose the number of days you want to include. Next, name your list and click, Create Audience. 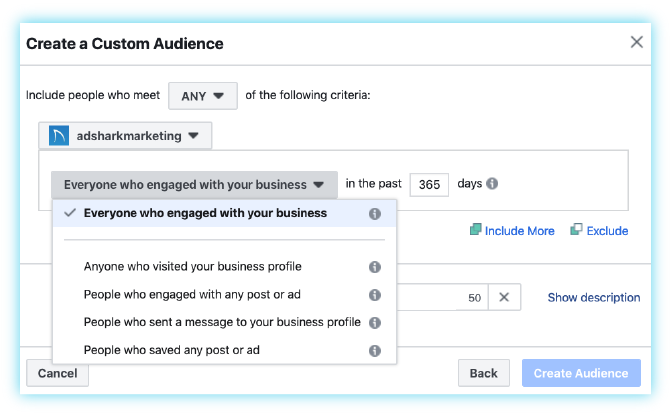 The steps are the same for an Instagram Custom Audience except you click, Engagement > Instagram business profile. You can collect leads without your user leaving Facebook. If they engage with your form they are added to your custom audience. You can differentiate based on users who’ve opened your form, opened but didn’t submit or opened and submitted. In the main custom audience menu, go to Engagement > Lead form. Choose your parameters in the drop-down menu and the days you want to keep the user in your audience. Next, click Select Specific form(s). Add your form and name your audience. Click, Create Audience. 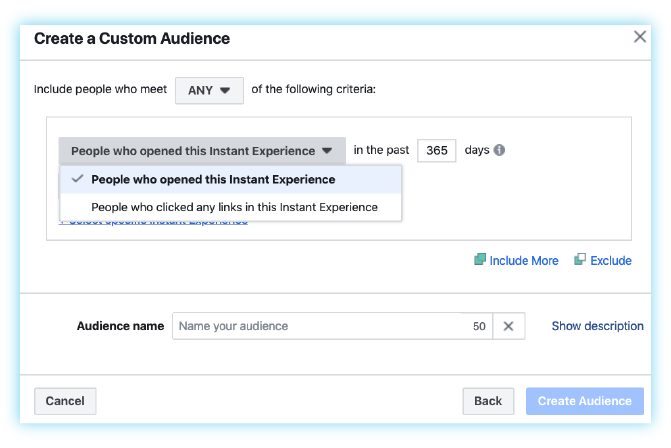 Create a custom audience consisting of users who engage with your canvas ads. You can differentiate between those who have opened your canvas and those who clicked any links. From the Custom Audience main menu, click Engagement > Fullscreen Experience. Choose your parameters, days you want to keep the user in your audience and name your audience. Click Create Audience. Have a party or event you’re trying to promote? 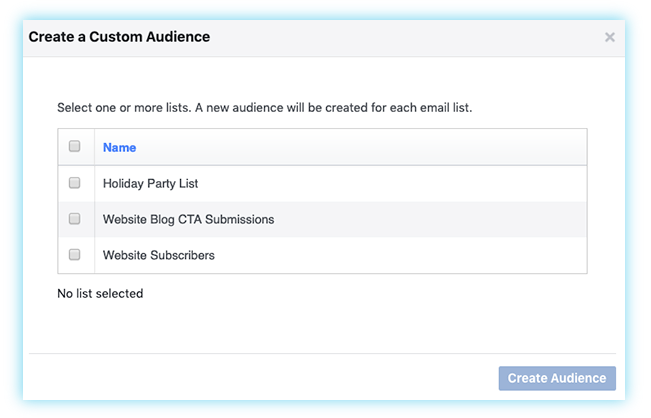 You can create custom audiences that include users engaging with your Facebook events. You can differentiate between how the user responds to your event, whether they are going or interested. Click Engagement > Event. Choose your parameters from the drop-down menu. Next, choose number of days. Then click, Select specific event(s), name your list and click, Create Audience. This custom audience is specific to businesses that have apps and want to understand who is engaging with them on their app. Instead of using the Facebook Pixel to track user behavior you need to setup tracking through an SDK. 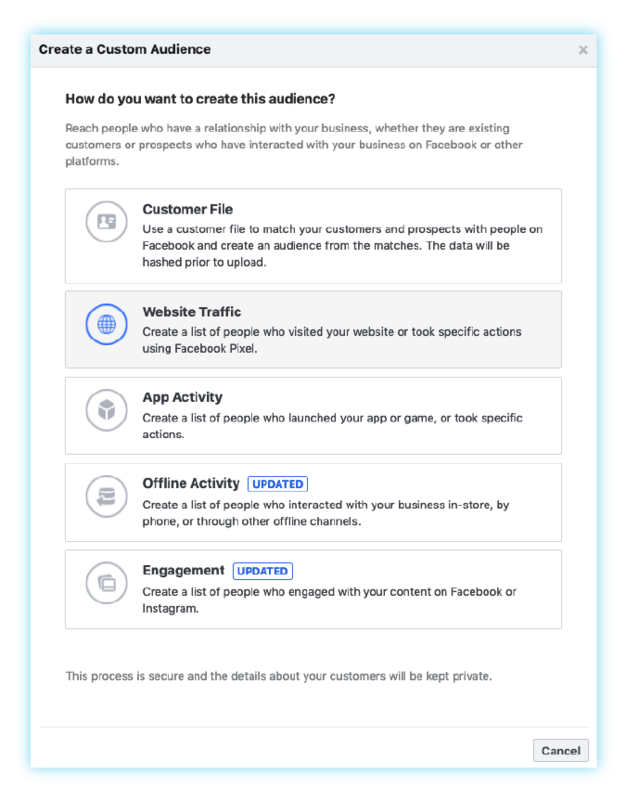 Adding the SDK gives you the options to create custom audiences based on who opened your app, most active users, purchase amounts and segments. 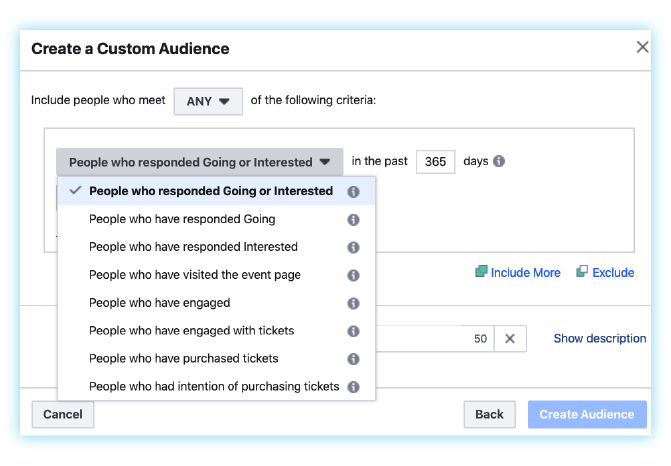 A more advanced option is Facebook’s Offline Event Custom Audiences. You provide Facebook with offline data. It then provides insight into how your ads impacted the event offline. 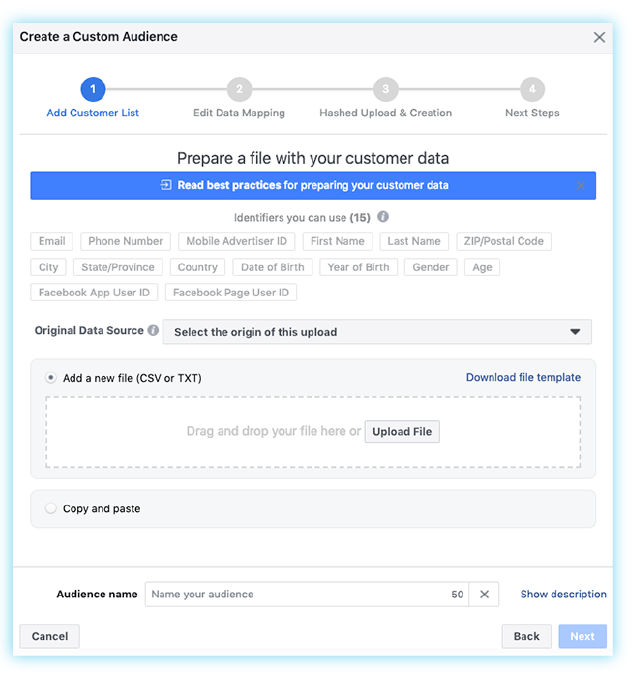 Once Facebook has the information, you can create an audience based on that data. It’s similar to a Customer File with the addition of the offline event parameter. For small businesses, or if you are just starting out, we recommend just using the Customer File option. Pro Tip: A Facebook “Event” isn’t the same as a party you plan. Facebook considers an action taken on your website an event. How Do Lookalike Audiences Fit In? Lookalike audiences use an existing custom audience to match users who are most similar to that list in terms of behavior, interest and engagement. Another audience most advertisers don’t take advantage of, lookalikes provide a great way to create an audience consisting of users who may be interested in your product, service or offer. They allow you to reach new users, improve targeting to a qualified audience and leverage valuable audiences who engage with your brand to define an audience. Often times, lookalike audiences can outperform standard interest targeting, so we definitely recommend utilizing them. You can even try layering demographic and interest targeting with your lookalikes audience. To define a lookalike, you select your source custom audience you have previously setup, and the countries you would like to populate the list. At a minimum, lookalikes use 1% of the country’s population and goes up to 10%. Your minimum Lookalike audience size will be around 2.1 million users. If you’re worried about setting up an audience across the entire US as a local or regional company, don’t worry. We can still layer any normal targeting onto these in our Ad Sets, including geo targeting, interests and more. Want to learn more about how you can best use Facebook Ads and other advertising channels to level up your marketing game? Subscribe to our email list to get regular industry updates, how-tos and step-by-step guides to help you generate more sales, more leads and more traffic to your site. 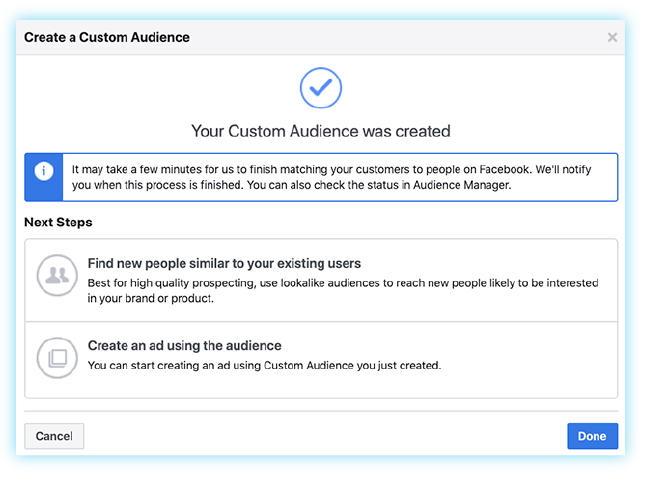 Are you thinking about leveraging Facebook Ads Custom Audiences for your ad campaigns? Are you interested in learning how to use Facebook ads to engage potential customers, drive revenue or increase leads for your business? Feel free to reach out, we can set up an introductory call to understand your business goals and help you get started.